Arc of Shelby County – United Way of Central Alabama, Inc. The Arc is recognized as the foremost partner with families and people with developmental and intellectual disabilities to support and enhance the quality of their lives. The Arc does this through advocacy on behalf of individuals and families at all levels of The Arc and at the legislative, system and individual levels. Providing information and technical support to individuals, families and organizations assists them in fulfilling their dreams. At some point in his or her life each person with intellectual and developmental disabilities may need an advocate. Advocacy takes place at the personal, local, state and national level. 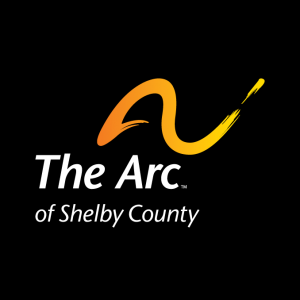 The Arc of Shelby County provides services and supports that empower individuals with developmental disabilities and delays and their families throughout their lifespan to live happy, successful and productive lives within a community of their choice. The Arc of Shelby County works to ensure that the estimated 3 out of every 100 Shelby County residents and more than 121,000 Alabamians with intellectual and related developmental disabilities have the services and supports they need to grow, develop and live in communities in Shelby County. These services include early intervention, supports for families, advocacy, transition from school to community resources and community resource development. For adults, services and supports may include preparation for employment, help in finding a job, independent living skill training, self-advocacy training and other supports. At The Arc of Shelby County, our mission is to provide tools that build communities where every person belongs, where each person has the opportunity to build the dreams that add up to a happy and productive life.